Reaching the age of 30 is something to celebrate, whether it’s with a night out, a special holiday or a get together with friends. 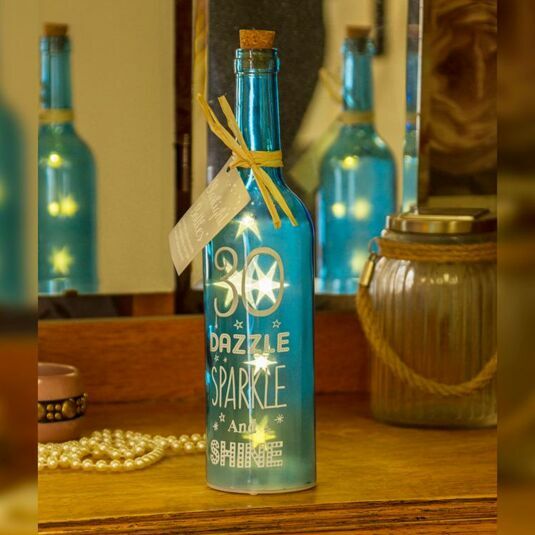 This beautiful bottle helps to create the right mood with a heart-warming quote printed on the front of the blue tinted glass, emitting warmth and a little magic from the star shaped lights within. 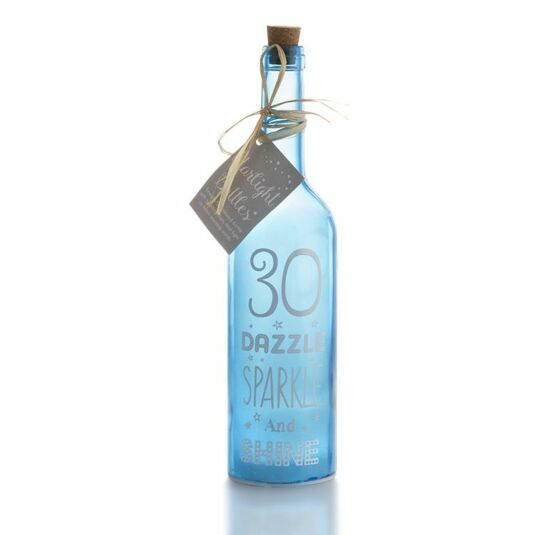 Bring some magic to any occasion and enjoy a gentle starlight glow with this sparkling blue illuminated bottle which is finished off with a real cork stopper on its top and a gift tag read for you to present to the friend or relative who has reached this landmark birthday.